Hooray! The Marvelous Moosepath League is back! 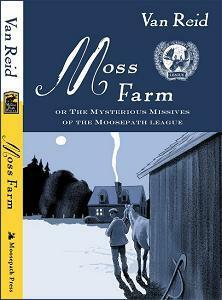 Moss Farm, or the Mysterious Missives of the Moosepath League! "Under the wise and jovial leadership of their chairman Mister Tobias Walton and the shrewd and gallant Sundry Moss, this 19th century gentlemen’s club from Portland, Maine has foiled pirates and kidnappers, joined a hobo army to save a burning village, bumped into the supernatural, and successfully treated a depressed pig! Return, now, to the early days of the club as (without benefit of their leader and his aide-de-camp) it becomes the self-imposed duty of Ephram, Eagleton, and Thump to deliver a letter to Walter! It is a mission of surprising complication and befuddlement, made no less so by Mrs. Actonia Mint, whose best friends are invisible to the world and whose family (the mystery-prone Seams) is only one embarrassment away from having her committed. Mister Walton, meanwhile, travels to Sundry’s homestead, where folks prove, by turns, warm and memorable, eccentric and irascible. The travelers deal with romantic entanglements and get wind of a ghostly visitation, even as the Members of the Club climb up and down Portland’s social ladder in their valiant attempt to find Walter! As ever, the Moosepath League is in the fore!" Shock! I know, I know. It has been forever! Burn out and being busy are my excuses. I have been traveling so much that when I am home, I am ready to cook. 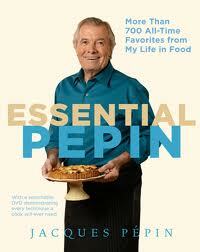 I LOVE Jacques Pepin! Next to Julia Child, he is my favorite. I have watched all his shows in the past. He has had teaching shows with Julia, by himself and even with his daughter. I purchased his newest cookbook back in May and have been saving it until recently. I am like my mom in that I love to read cookbooks! We may not cook anything out of them, but we will read, tab, make menus and pour through them. It is very relaxing. This one has 700 of his favorites and Monsieur Pepin has a DVD in the back of this cookbook that is AMAZING! I want to get a DVD player to put in my kitchen so I can watch it over and over again while I cook. He teaches the basics of good French cooking. Simple, short and to the point. I love this book! 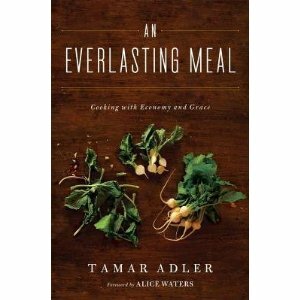 The other book that I have been enjoying and have just read the first five chapters is Tamar Adler's The Everlasting Meal, Cooking with Economy and Grace. The two books are very similar. Both encourage to use what you have in your refrigerator, use good ingredients and enjoy yourself while you cook it.